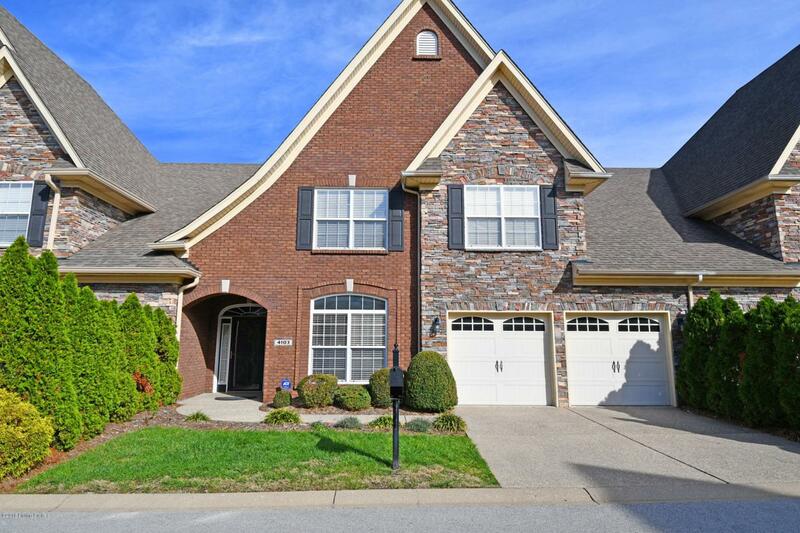 Spacious townhome in North Oldham County section of Prospect. 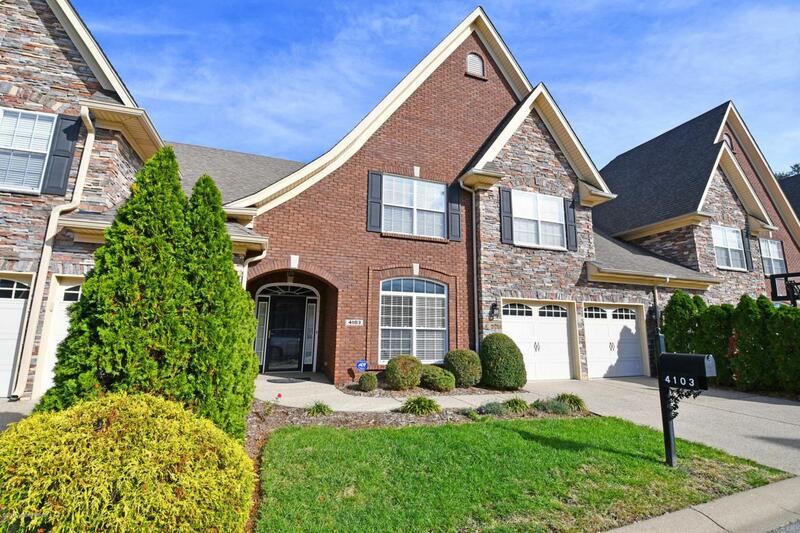 This open floorplan features 1st floor master suite, master bath, office, eat-in kitchen, great room, laundry room all on the first floor. 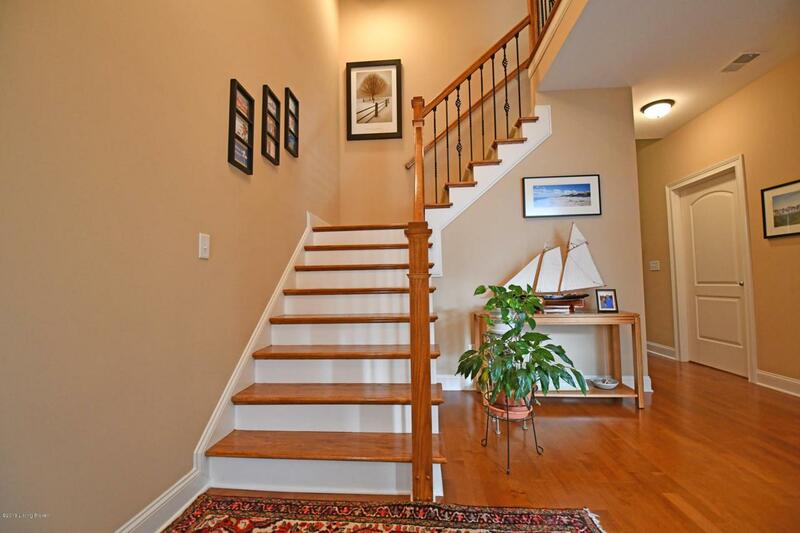 The second floor features 2 large bedroom, loft area, and large attic for storage. All appliances will remain with the townhome including washer, dryer and refrigerator in addition to range, microwave, and bosch Dishwasher. This unit does NOT back up to other units or commercial. 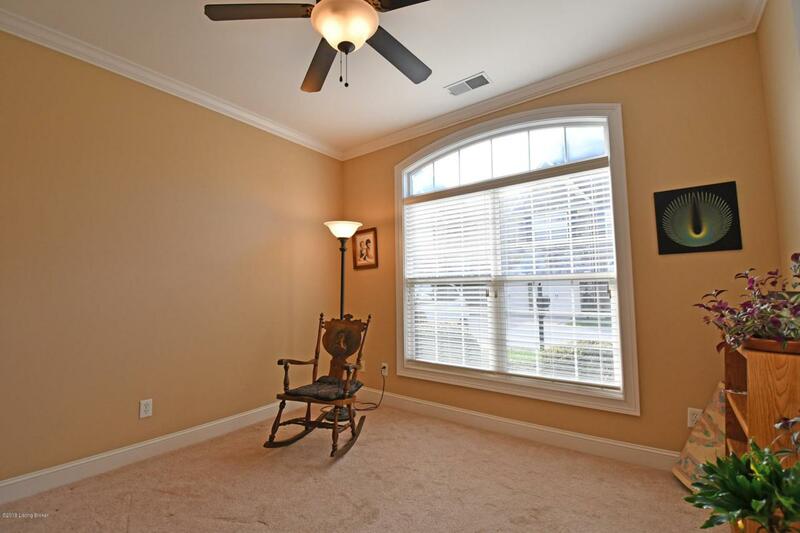 It has a private backyard with patio and mature landscaping. This unit has a 2 car attached garage. Monthly maintenance fee is $317.